People with Narcolepsy Pen Pals: PWNs and supporters can correspond through Facebook private message, Email or “Snail Mail”. To get involved, send a request to join FB group. 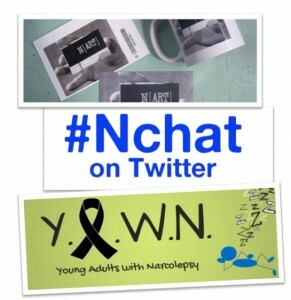 TWITTER: #Nchat is live Twitter-driven event on the topic of Narcolepsy which takes place the first Saturday of every month at 5pm Eastern time. GOOGLE+: Narcolepsy: Living in a Dream World is a community for private discussion of Narcolepsy, Cataplexy and surviving them in a world that (for the most part) doesn’t really even know what they are.